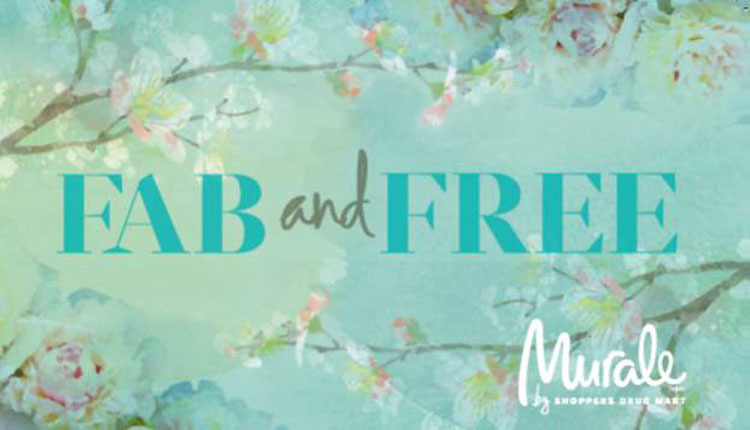 Murale is having a FAB and FREE Event! Based on my past hauls, you guys know I'm a number cruncher when it comes to shopping! I won't tell you it's a good deal, unless it's REALLY A GOOD DEAL! Murale is having an amazing promotion going on right now where you can SAVE (earn loads of points which becomes money to spend) and get FREE STUFF! I would say Murale is the classy sister of Shoppers Drug Mart focusing on beauty products and services. They carry high end cosmetic brands as well as unique cosmetics and skin care brands that I have yet to even hear of – I was pretty impressed. Apparently, their stores even have dermatological skincare center, private cabin rooms for facials and esthetic services – and even a Benefit Brow Bar (really rare in Canada!). Beauty junkies, are you widening your eyes? My eyes almost popped out and my face is dying to get pampered! Amazingly enough, they provide online shopping - just imagine SDM having online shopping but better!! I've always wanted more Canadian beauty online shopping sites - they are more shipping friendly than US stores haha! It was launched March 2012 and I checked out their shopping site on mobile - super easy to use so far!! Shopping on your mobile allows you to collect points from their Optimum Program (same as SDM) and there are TONS of exclusive offers as well! ps, they give out 5 samples for your online purchases hehehe! I love samples! Offer valid in-store and online at murale.ca from April 8th to 21st, 2013 only. I've been hoping to get some skincare items such as serums and creams for my 2 month work trip to Montreal soon. This seems like the perfect opportunity!! mwahhaha! I can try loads of sample sizes which is perfect for travel! I'm so excited!!! Here's the list of samples you'll find in the Tote!! 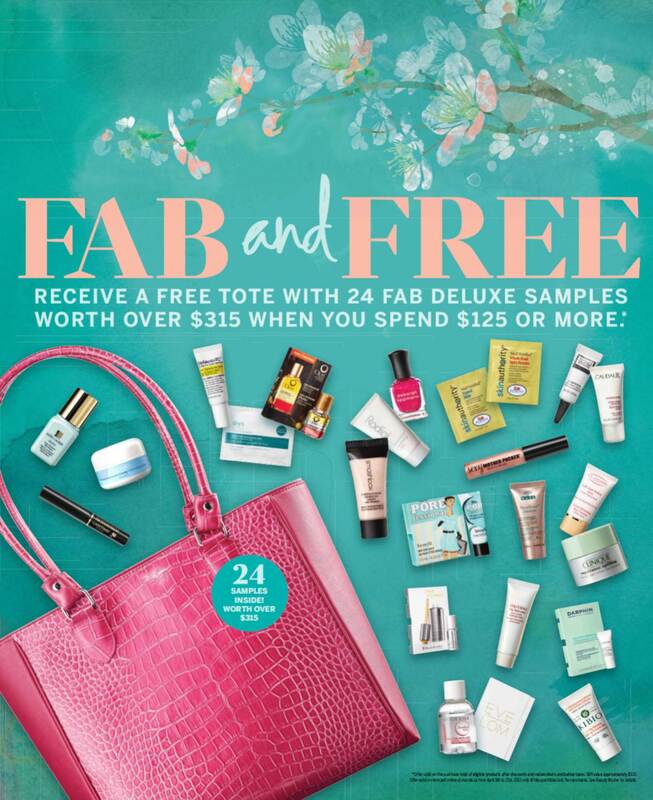 You can get 20,000 optimum points in a coupon found in the Fab & Free Tote when you spend $125 or more at Murale on our featured regular -sized Fab & Free products. Offer valid in-store from April 22 to May 19, 2013 only. From my calculations, I believe that equates to approximately $20 - $25 in value that you can use. However, if you saved up a lot of points and decides to use it altogether, the value in dollar is even greater! I can't wait to check see what's gonna be in your haul with this promotion!! !